No matter what may have transpired during the day, when I arrive home I am always greeted by a sweet old dog named Hershey. 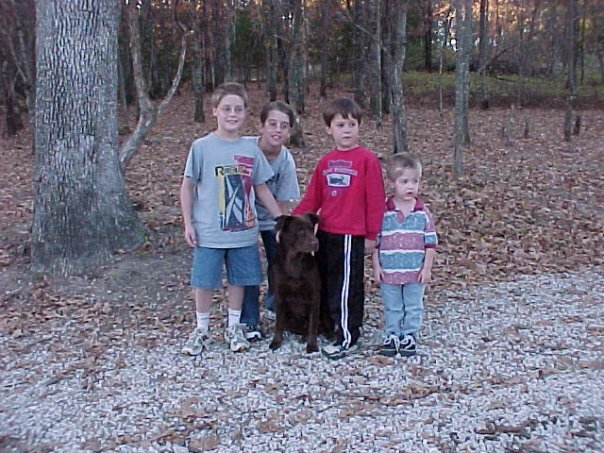 She is a chocolate lab mix that was a "rescue" animal we adopted years ago when she was about 5 years old. She had been abandoned, run over and her left back hip shattered. She was found infested with worms and lacking in body weight and muscle mass. A veterinarian nursed her back and pinned her leg, but when they brought her to our house she looked so bad that I worried my four little boys might witness their new pet die. But she began to heal and the movement to her leg returned. 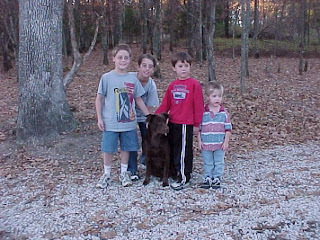 Hershey became a member of our family and took to the boys like a typical lab. She is a sweet old dog, nearly 17 years old now. Cataracts cloud her eyes, she's lost much of her muscle mass and like so many old dogs, her hair is dulled and graying. But she's still a sweet old dog. When I came home today, she was in a particularly good mood and did her best to dance around like she did when she was still in her prime. It was good to see her happy, even though her back leg is once again stiff with little movement and she stumbles when she gets too excited, and sometimes bumps into things. No matter what I'm doing if she sees me she gets up real close and pushes her head between my arm and body. She can't seem to get close enough and always seems to make me smile. I'm identifying more and more with Hershey as I age. I hope I grow sweet and good-natured and can still bring a smile to the face of others when I'm nearly blind, stumbling around, and my hair is dulled and graying.